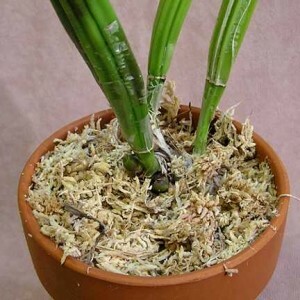 The following guest post on orchids propagation is an interview with Richard Lindberg, orchid care expert, orchidist, and author of the Blog.BackBulb.com, which covers everything you need to know to grow your orchid collection with inexpensive (or even FREE) orchid backbulbs. What’s a back bulb, exactly? Well, we’ll be covering that in just a minute. And by the way, once you’re finished reading this interview, I highly recommend you take a minute to check out Richard’s site. Ryan: Richard, you share a wealth of knowledge on your website and blog. Tell us about your website and blog. What made you decide to start writing about orchid backbulbs and rescues? What do you hope your readers can learn from your blog? Richard: When I retired I had a sharp decrease in income and I needed to stretch my orchid money as far as it would go. I wanted to see what advice backbulb.com had for me about propagation but there was no such website. When I discovered that nobody owned the name I grabbed it and it became my orchid site. I decided to fill the void and gather the information scattered all over the internet into a single source. The blog came a couple of years later in 2008. I got interested in self-publishing a book about backbulbs and rescues. The blog started as a means of gathering my thoughts for the book but it soon developed a life of its own. The blog is more for me, to help me pay attention to the collection. Every day I have to think about what is going on in the greenhouse. It is great to have the links to my blog posts and information about blooming, along with pictures of plants as they grew. It has helped motivate me to keep the plant pictures current in the inventory listing. If there is something I hope my readers learn from my blog is that one man’s garbage is another man’s treasure. That’s how I got my Cattleya percivaliana marmoreada. It is worth the effort to practice the process of transforming a couple of backbulbs into the most collectable plant in my greenhouse. Richard: My wife and I visited a nursery on Oahu during our honeymoon. We bought two Dendrobuim Fiftieth State plants in bloom and had them shipped to us at home. After they finished blooming I took them to work and they sat under a florescent light. Somehow they re-bloomed. I took a course that our local recreation center had going. I learned a lot, made friends with other orchid lovers and learned that there were more orchids than just the Dendrobium and Phaleanopsis hybrids that were available in the Big Box stores. Richard: Easy question. 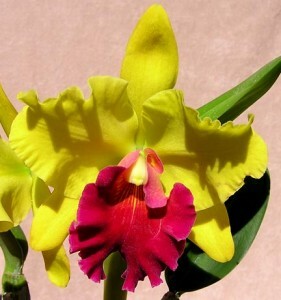 It is Blc Lawless Romeo ‘Sundance’. If I only had one orchid it would be that one. I bought it as a seedling thinking it was a mini-Catt very early in my orchid collecting. I mounted it on a piece of hard wood and the plant has grown happily there for several years. Ryan: How many orchids do you have currently? Indoors? Greenhouse? Richard: I have a small greenhouse with maybe three hundred mixed species. I also have an outdoor growing area with another two hundred, mostly Cattleya. There are none growing indoors, although plants in bloom find their way in the house. I built the greenhouse eight years ago. That summer in August I realized that I had too many orchids to take back inside for the winter. I had to decide if I was really going to grow orchids or perhaps cut back to just a few plants to play with. I had an existing patio cover enclosed to make a 9×12 space with a flat nine foot high roof. It has water, electricity and natural gas. It is right outside my back door and I am very happy with it. Richard: The most important thing is to join an orchid society and get to know the other members. Socialize with them, go to potting parties or be willing to spend a couple of hours helping with a greenhouse cleanup. 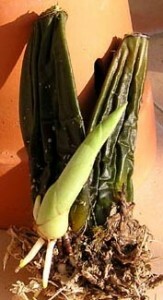 That way you will be around to intercept backbulbs that are headed for the compost heap. When you have questions, there will be someone to give you answers. Richard: About once a month I give away an orchid. There is no schedule for it and no particular type of plant. It can be a backbulb but can also be a nice plant or small division. I ask that people pay the postage, generally about $6. 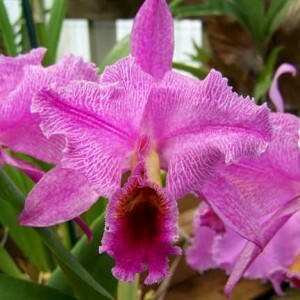 If you click the “Free orchid” label on the blog you can see that the free orchids are a pretty broad range of types. In June of 2012 I gave away five orchids in a single day to celebrate my thousandth blog post. Richard Lindberg is an orchidist, writer, and orchid lover who lives in Napa, CA- where he has a huge collection of orchids growing both in a greenhouse and an outdoor growing area. 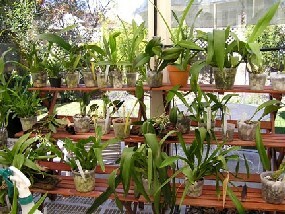 To get in touch with Richard and learn more about multiplying your orchid collection with backbulbs, check out his blog by visiting Blog.BackBulb.com.